Initiate coverage with “Accumulate” rating with a SOTP-derived TP of S$1.05. Thai Beverage Public Company Limited (“ThaiBev”) is a leading beverage producer in Thailand as well as one of Asia’s largest beverage producer. Its business consists of four segments – Spirits, Beer, Non-alcoholic Beverages (NAB), and Food. Its “Vision 2020” goal is to become the ASEAN region’s leading beverage company. It continues to assert its market leading positions in both spirits and ready-to-drink green tea markets in Thailand. Meanwhile, Chang beer currently commands c.40% of Thailand’s beer market share. 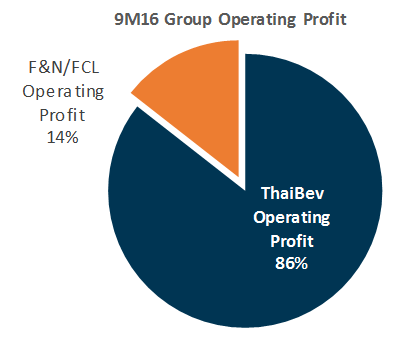 Gaining market share in Thai beer ThaiBev’s ongoing premiumization efforts has paid off: Chang beer gained c.10% market share to c.40% within 3-months. We believe that the positive momentum would continue to bring Chang beer to become the leading beer in Thailand (with at least 45% of market share) by FY20e. Demand recovery for alcoholic beverages: (i) The impact from mourning period to ebb in 1Q FY18; and (ii) Improving consumer sentiment and broader economic recovery in Thailand. Margins expansion benefiting from (i) Economies of scale, better operating leverage on production facility sharing, and synergies among the companies within its Group; and (ii) Impending excise tax levy in Sep-17. ThaiBev has a track record of raising selling prices more than the extent of increased excise tax costs during the past tax levies. Corporate restructuring of Fraser and Neave, Limited (F&N) and Frasers Centrepoint Limited (FCL) to bring ThaiBev one step towards achieving its Vision 2020: (i) Becoming the leading total beverage producer and distributor in the region; and (ii) Contribution from Non-alcoholic Beverages to increase to over 50% of Group revenue. Expanding regional footprints in ASEAN, particularly in Cambodia, Laos, Myanmar, and Vietnam. Supported by (i) favourable macro backdrop, (ii) available capacity to meet demand; and (iii) strong alliances with F&N. Potential M&A candidate: Sabeco (Saigon Beer Alcoholic Beverage Corp.). ThaiBev has a strong balance sheet with plenty of room for borrowings (low gearing level at 0.48x as at 31 Mar-17). Diversified revenue stream into NAB and Food to enter into fast growing market segments, further capitalize on existing logistics, and mitigate the business risks from alcoholic beverage market. Management targets to turnaround NAB EBIT by FY18. Unable to fully pass on additional costs to end-consumer, leading to margin compression. Regulatory risks in operating countries. Political uncertainties, especially after the coronation of new Thai King and elections in Oct-17 could dampen consumer sentiment. Prolonged weakness in economy and demand remained slow post mourning period. As at end 31 Mar 2017, ThaiBev has a portfolio of 132 companies engaging in production, marketing and sales. It operates (a) 3 breweries, (b) 18 local distilleries and 6 overseas distilleries, and (c) 11 manufacturing facilities for non-alcoholic beverages. 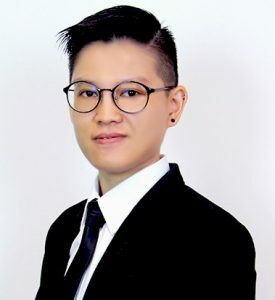 The Group has an extensive distribution network covering 400,000 points of sales in Thailand, enabling timely and efficient product delivery to the market. The Group’s operating profit can be segregated into two segments: (a) ThaiBev core business, and (b) the c.28.5% stakes in both Fraser and Neave, Limited (F&N) and Frasers Centrepoint Limited (FCL). Its core business contributed 86% to the Group’s earnings and the remaining was contributed by its Singapore-listed associates. Spirits: Most recognized brands include Ruang Khao, SangSom, Mekhong, Hong Thong and Blend 285 ThaiBev also owns 5 Scotch whiskey production facilities in Scotland and 1 distillery in China. Its Scotch whiskey products are sold in over 90 countries globally, with majority of the sales generated in Europe. Beer: Chang, the Group’s signature beer, is a mainstream beer in Thailand and is exported to over 40 countries around the world, including USA and UK, as well as several countries in Europe and Southeast Asia. It also has another Economy brand, Archa, and a premium beer, Federbräu. Non-alcoholic Beverages (“NAB”): Leading brands includes Oishi ready-to-drink (“RTD”) green tea and Jubjai herbal tea, est carbonated soft drinks, and Crystal drinking water. Food and Restaurants: Operates Japanese restaurant and ready-to-cook and ready-to-eat food business through Oishi There are 239 Oishi restaurants nationwide and 3 abroad in Myanmar. 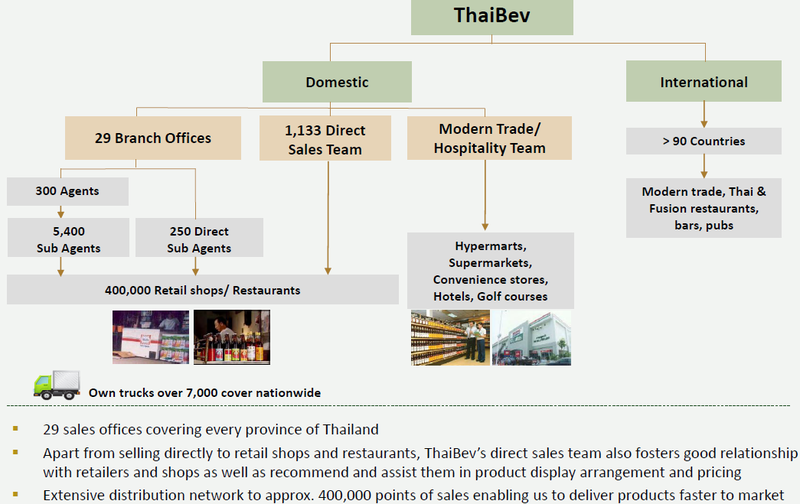 Comprehensive and pervasive distribution network is one of its major strength and key factor that elevated ThaiBev to attain its leadership position in Thailand’s beverage market. Sign up for our premium content (FREE!) to download the full report.